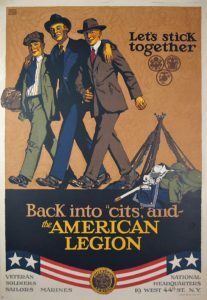 “Let’s Stick Together” was the motto the American Legion was founded on. Nearly a century later, that message still resonates with American veterans—especially those who see community service as a natural extension of military service. New Haven is the second-largest city in Connecticut; however, until recently it didn’t have an American Legion post for the more than 3,700 veterans who live here. Recognizing that military veterans are a small and shrinking sliver of the U.S. population, we want to cultivate a vibrant veteran community in the Elm City—a community that will look out for each other and support our interests, while we continue to serve our country (and have fun doing it). Membership is based on the desire to serve our country and not on duty location. If you have served at least one day of federal active duty in the United States Armed Forces during wartime (basic training counts), and have been honorably discharged or are still serving—you are eligible for membership in the American Legion!